Courtney Jacob Harmon is a welcomed addition to the team at Southeastern Galleries. While Courtney is a native of Ponte Vedra Beach, Florida, she cannot imagine a more opportune location for her family and career than Charleston. Courtney graduated from Appalachian State University with a degree in Interior Design. Over the next several years Courtney would further develop her expertise in full scale design services while in Greenville and Charleston. Growing up in Ponte Vedra Beach, Courtney was heavily influenced by the communities’ renowned affluence in resort living. Courtney is incredibly comfortable at mixing exclusive building materials for kitchen and baths, while appreciating the need not only for versatility but durability in textiles as well. With Courtney’s unique approach to interiors, she has been able to specialize in creating a conglomerate of high fashion and performance. 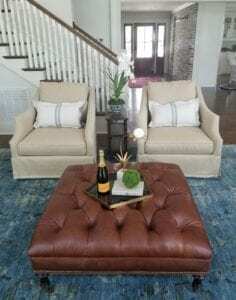 While Courtney excels in any arena or style of design, she most personally identifies with Chinese Chippendale styling, though modernized with a fresh color pallet and more contemporary upholstery. “I love taking that family heirloom, or piece with such sentimental value to a client, and giving it new life in an updated space. When I can create a space that is a comfort to my client, that is the most amazing feeling in the world,” she says.